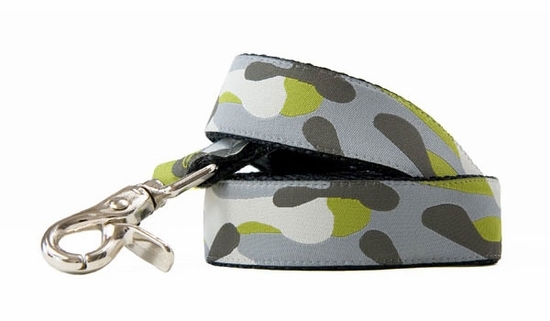 Presidio Green Leash Camo with flair! Green Accents Made from durable 5/8 & 1" nylon webbing with high quality nickel plated hardware. Machine wash and line dry.